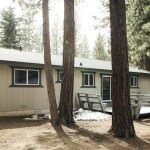 1203 Martin Ave South Lake Tahoe CA offered at $190,000Super cute single story home with a great floor plan and wonderful back yard that has mountain views and RV access. Home is in very good condition and well maintained. Bedrooms are larger than usual. Sliding glass door off of rear bedroom leads to a nice deck. All windows are vinyl dual pane. There are two large storage sheds in the back yard. Nice legal wood burning...Continue Reading! 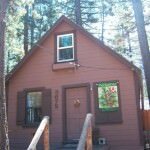 Price Changed to $207,000 in South Lake Tahoe! 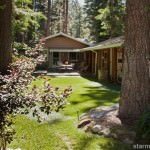 3672 Forest Ave South Lake Tahoe CA offered at $207,000In town, 3 blocks from Lake Tahoe you will find this Super Cute, chalet style cabin. Walk to beach, Farmers market, restaurants and coffee bar. Short distance to Heavenly Ski resort. 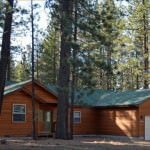 This cabin has been recently renovated with new tasteful carpet and vinyl flooring. Interior was just painted and a new gas stove has been installed. Good size living/dining room, kitchen, bath and large bedroom are downstairs. Two bedrooms are...Continue Reading! 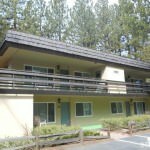 1150 C Herbert Ave South Lake Tahoe CA offered at $140,000Move In Ready Townhome, making this a Fabulous Tahoe deal. This second level Bavarian Village Condominium is selling tastefully furnished adding to the desirability. 3 bedroom, 2 baths, 1161 square feet, open rock fireplace, living, dining and kitchen with additional breakfast bar seating for four. Hoa amenities include, pool, spa, additional parking, exterior maintenance, snow removal, roof repairs, refuse and exterior insurance. The complex is centrally located, walk to the...Continue Reading! 1084 Johnson Blvd South Lake Tahoe CA offered at $365,0005.02.13, back on market due to buyers personal issues-RARE-New construction, single story on a 14,070 square foot lot with unused coverage. Home has many upgraded features. Quartz counters, cork flooring, walnut cabinets, cover patio, separate laundry room, oversized garage and good looking laminate flooring throughout. Master bath has corner spa tub and separate shower. Furnishings are negotiable. This is a good one! Hurry it will not last!Continue Reading! 3359 Janet Dr South Lake Tahoe CA offered at $265,000Fully remodeled 2/2 in Bijou. You have to see it to believe it. New wood flooring. Tile and carpeting. Entire interior painted with new doors, new hickory cabinets, granite counter tops and stainless steel appliances. New water heater and wall heater. New EPA approved wood burning stove. Both bathrooms remodeled. too much to list. Just go see it! Close to both...Continue Reading! 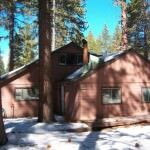 2529 Armstrong Ave South Lake Tahoe CA offered at $140,000Contractor Special-Cash purchase only. Large cabin. Condition is an incomplete remodel. 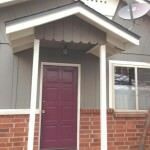 2 family rooms downstairs, 2 bedrooms downstairs, master bedroom upstairs with half bath. Newer roof. Lots of space for storage. Priced to sell!Continue Reading! 1266 Tata Ln South Lake Tahoe CA offered at $349,000Back on Market ! Don't miss out this time around. You'll love this one story home on half acre lot, fantastic outdoor entertainment areas,patios, firepits, a BBQ station. The dining room has white oak floors. Retro tiled eat-in kitchen with compliant woodstove. Any time of day enjoy a book and a nap in the comfy window seat. Upgraded with double pane windows, a jetted tub, pedestal sinks, and slate porch....Continue Reading!